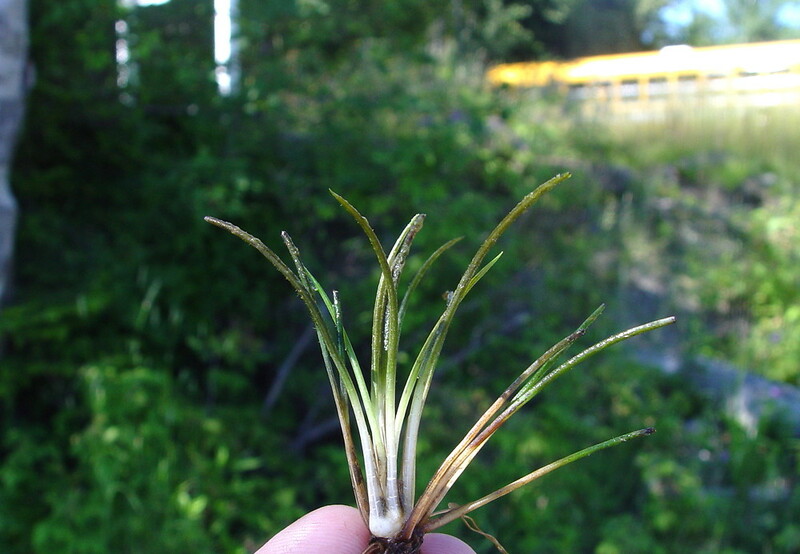 Carved quillwort is found mainly in the eastern half of Canada. It is very rare in New England, where it is known only from cold, clear water of lakes and slow-moving streams on gravel or cobble. megaspores megaspores 0.4–0.65 mm in diameter, averaging less than 0.6 mm, and leaves gradually tapering to the tip (vs. I. hieroglyphica, with megaspores 0.55–0.7 mm in diameter, averaging more than 0.6 mm, and leaves abruptly tapering to the tip). megaspores with a papillate girdle, cristate to reticulate with sharp or roughened crests (vs. I. hieroglyphica, with megaspores with a smooth girdle, reticulate with low, rounded ridges). Isoetes lacustris L. forma hieroglyphica (A.A. Eat.) N.E. Pfeiff. 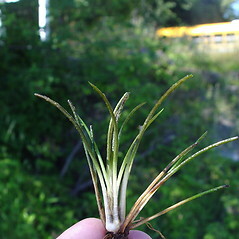 carved quillwort. Isoetes lacustris L. forma hieroglyphica (A.A. Eat.) N.E. Pfeiff. • ME; most collections from the northern portion of ME. Cold, clear water of lakes and slow-moving streams with gravel and cobble substrate.